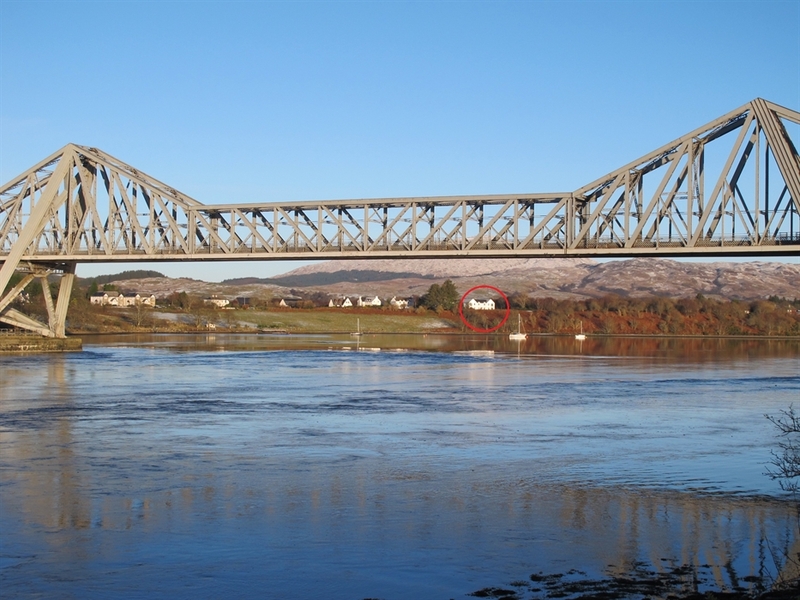 Stunning property with views overlooking Loch Etive & the Connel Bridge. Providing a perfect base to enjoy and explore Oban and the surrounding area. 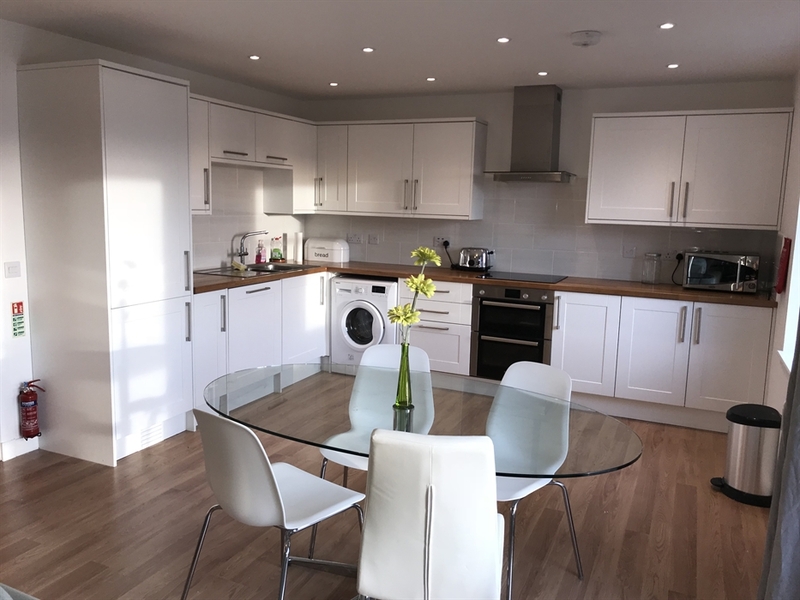 Offers the perfect place for a self-catering holiday just 5 miles from Oban. 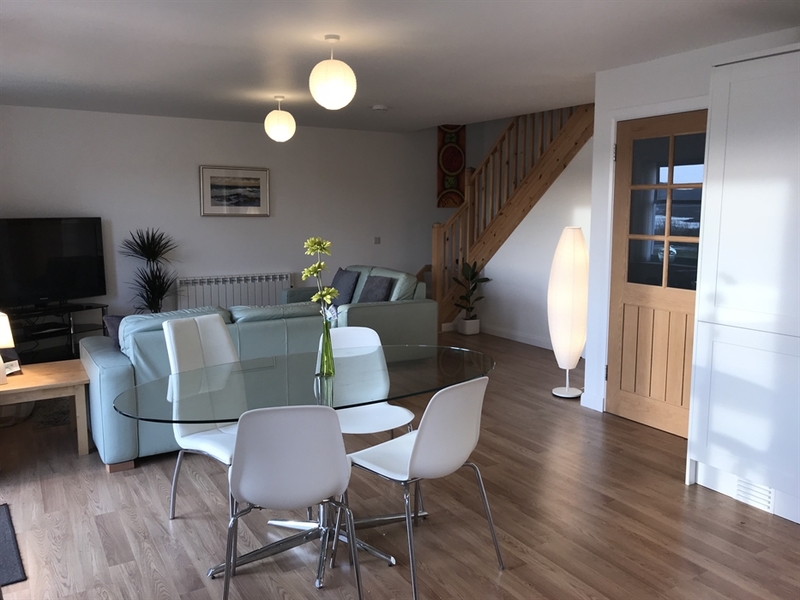 Our two bedroom property is very comfortable, well equipped and truly unique and with its unrivalled location it offers the perfect place for a self-catering holiday just 5 miles from Oban 'Gateway to the Isles'. The property is situated in a quiet residential block of 5 apartments in the North Connel area. The house as a whole offers a wonderfully bright space with most windows facing to the south over Loch Etive. Infinity broadband, 50" flat screen TV. 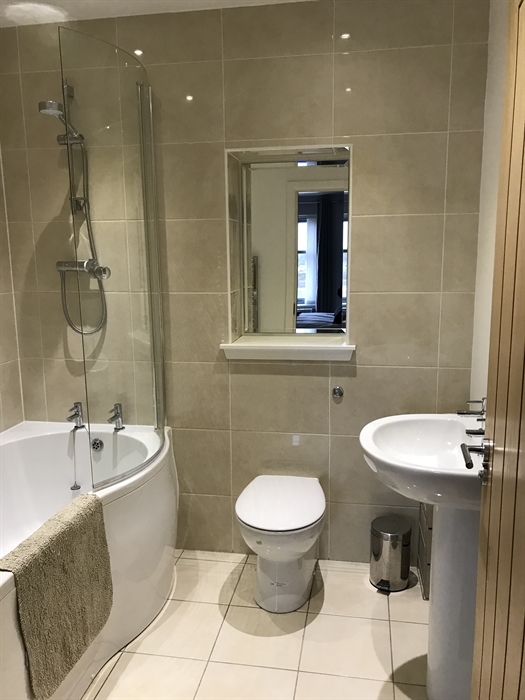 Upstairs: One king size bedroom with large en-suite (bath with shower over). Twin bedroom (2 single beds). 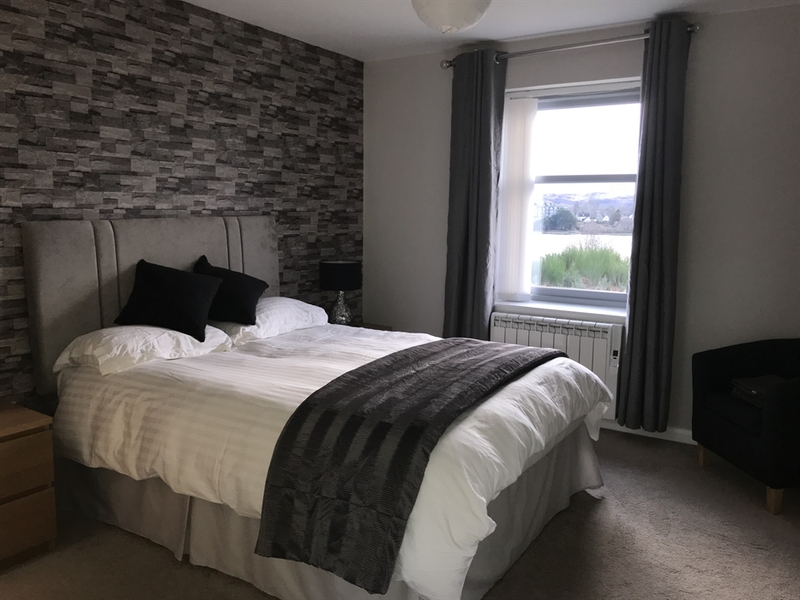 There is plenty of storage space in both bedrooms with built in wardrobes. Views from the bedrooms are simply stunning. 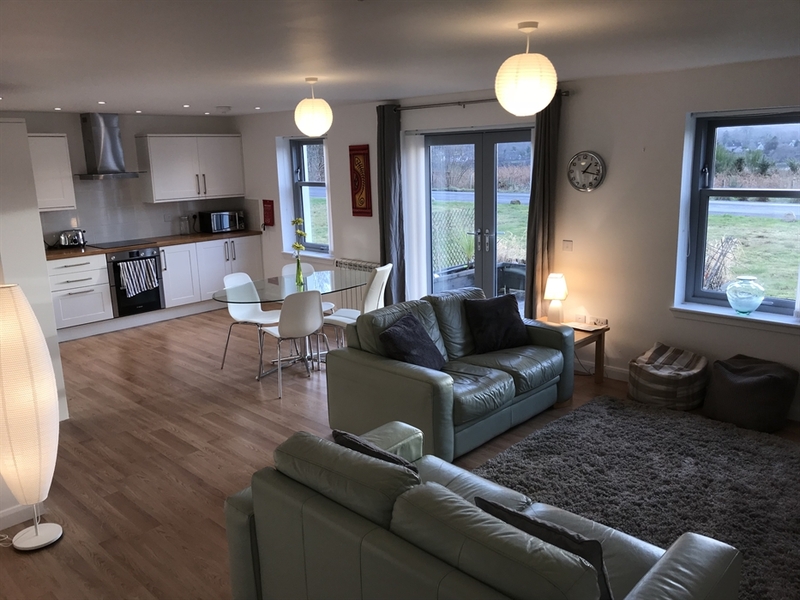 Downstairs: The fully equipped kitchen is part of a large open plan room with dining table and 4 chairs by the french doors where you can enjoy the wonderful views over Loch Etive. 2 sofas and comfy rug. Well equipped kitchen with dishwasher. 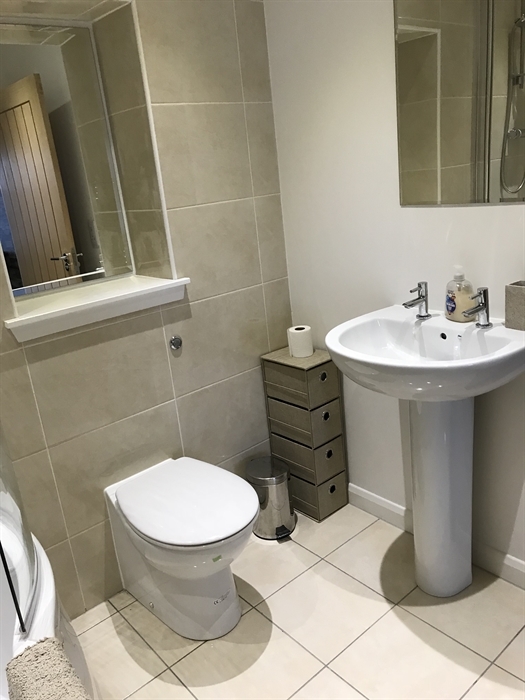 Spacious second WC with shower. Guests can access the entire property. 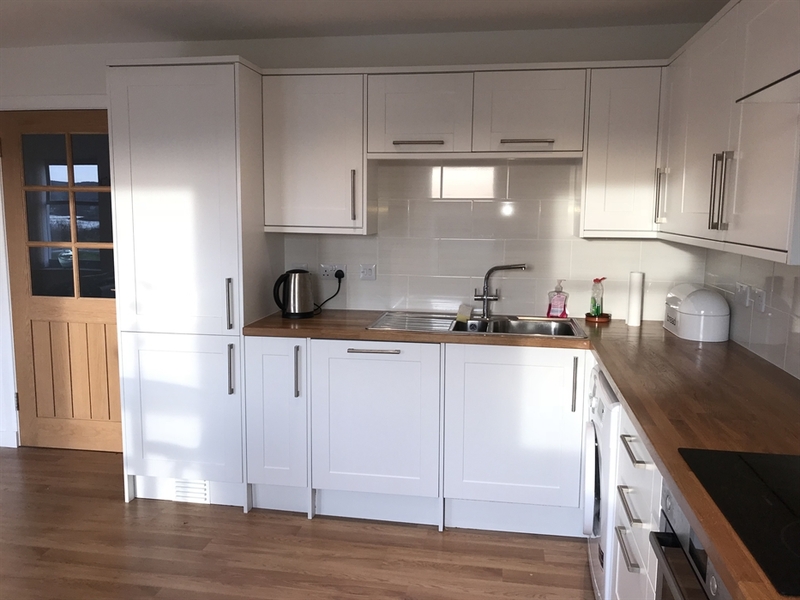 Externally, there is a decked area to the front of the french doors which guests can also enjoy as well as a communal drying area to the rear. We are generally on hand to assist should you have any queries, we aim to be there for your arrival to show you round and fill you in on the basics and will be able to provide the insiders guide to nice places to visit, explore & eat out. If ever we are unable to be there to greet you ourselves then we use a self check in using key coded key safe. Sorry but we don't allow pets. North Connel is a hamlet on the north side of Loch Etive in Argyll and Bute. The small settlements of Connel and North Connel sit at opposite ends of Connel Bridge. 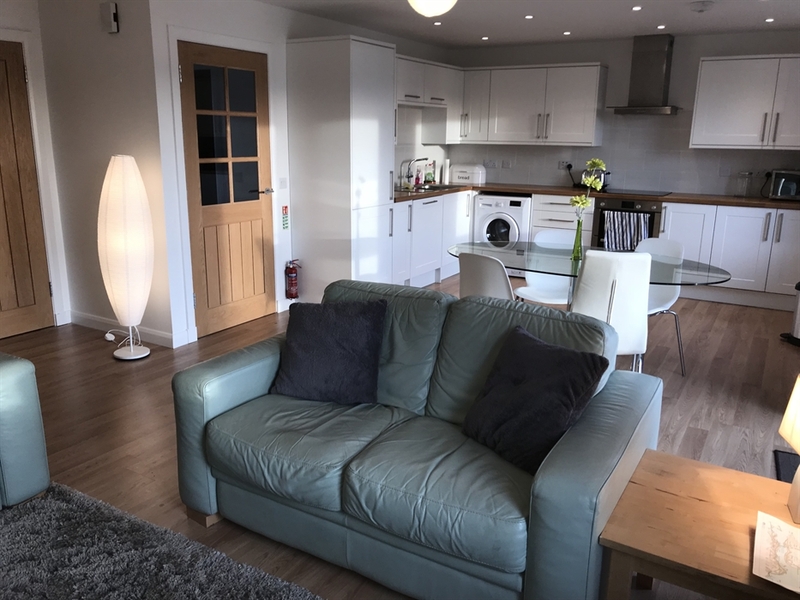 Connel is 5 miles from the harbour town of Oban ‘Gateway to The Isles’ which offers a range of shops, restaurants, leisure centre and riding centre as well as many other activities including an 18 hole golf course. With golf, walking, cycling, canoeing, sailing and beaches all close at hand, and boat trips available from Oban, there is something for everyone. Visit historic properties such as Inveraray Castle or simply wander down to the seashore.